Painting A is the ‘Annunciation’ – 1472-1475 by Leonardo Da Vinci. Painting B is ‘Orange Diagonal’ – 2008 by Ellsworth Kelly. Painting C is ‘Guernica’ – 1937 by Pablo Picasso. So, how do they relate? Yes, they’re each paintings. But, there is more? It can’t be the subject. What about the colors? It’s obvious from the dates that it’s not a period or artistic style. It is very simple and yet so much more complex. It is the Topology of the Rectangles. They all have the proportion 1:√5. If you’ll remember from the last post the ϕ ratio is 1:1.618… and if we add .618… we get 2.236… which is the √5. 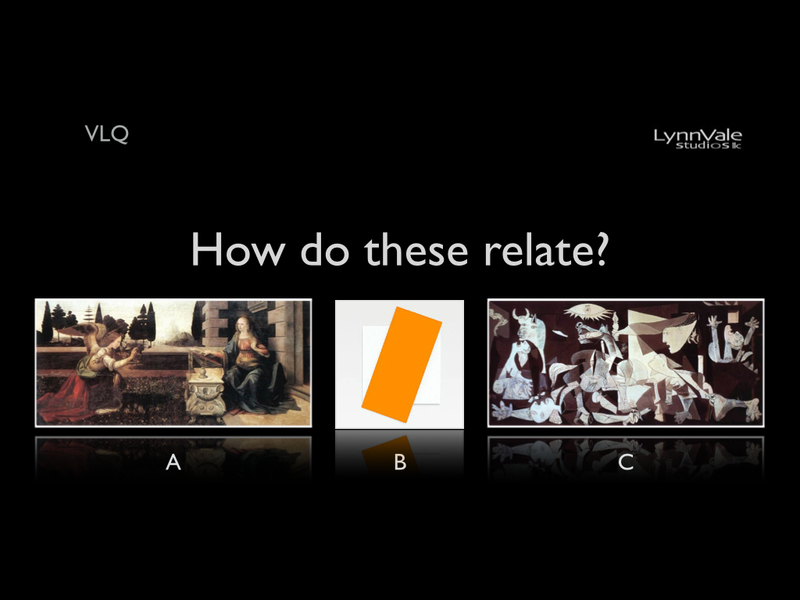 ← VLQ: Which of these does not relate to the DEMR?